We are very excited to announce that Francisco Cantú's THE LINE BECOMES A RIVER: DISPATCHES FROM THE BORDER, and Maggie O'Farrell's I AM, I AM, I AM: SEVENTEEN BRUSHES have been selected for the February 2018 Indie Next List Great Reads! The Indie Next List features recommendations from indie booksellers -- the ones they'll be personally pushing into your hands when you head down to your local store looking for a something great. Check out the rest of the list here. THE LINE BECOMES A RIVER by Francisco Cantú is out on Feb. 6th! Preorder your copy here. 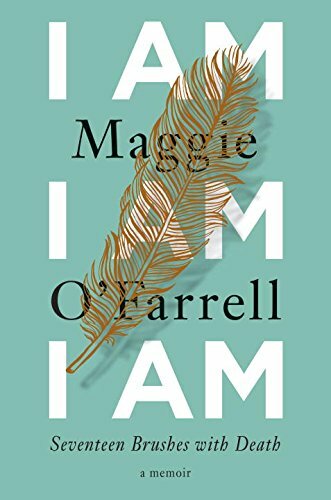 I AM, I AM, I AM by Maggie O'Farrellcomes out in the US on Feb. 6th as well! Preorder here. Pick up a copy here if you're in the UK.